During the 3D-MedTech printing conference speakers shed light on the most disruptive applications of 3D printing in the medical world, and latest developments and applications in the field. Surprisingly for some – dutch insurance companies have developed a vision towards 3D printing. I revealed the position of dutch health insurance companies in the 3D landscape and the possibilities for the future. First, by laying out the dutch health insurance landscape, followed by ONVZ’s position and our vision on health innovation that might lead to collaboration with 3D printing companies. More information about the conference can be found here. Moviemakers and dreamers have shown us amazing visions of innovation in healthcare and the positive impact on our lives. One day we might live forever and soon we can predict when diseases will occur in our lives. Unfortunately – or maybe it’s fortunate….. – we still have a lot of work to do and limitations to overcome before those innovations will be reality. What role will the insurer play in the future? That last question was the central topic of last Friday’s Masterclass. 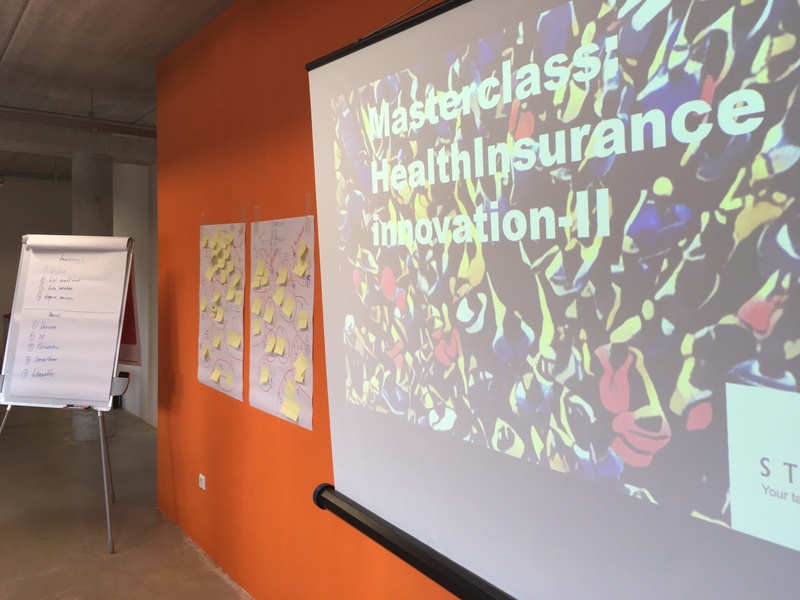 During this Masterclass I discussed the future of (Health)care insurance innovation with 30 eager young professionals of Studelta. We discussed the basic concepts of innovation, adaption of innovation in health and the applications and products that have emerged in recent years. Examples like ‘advanced customised medicine’ and novel sensor technology were under debate. In the second part of the Masterclass the main topic we discussed was the development of a corporate strategy in the light of the current trends and developments. How do you develop such a strategy and what is the impact on your workforce? And what options do you have to adapt? We can’t predict the future – but for sure we can shape it.